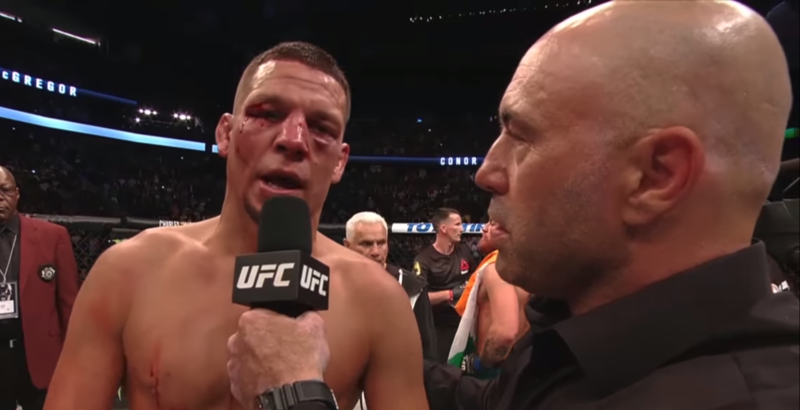 The last time any Diaz brother walked into the Octagon was in 2016, when Nate Diaz would lose in his rematch to Conor McGregor. Since then, both Nate and older brother Nick have been in a self-imposed exile from the promotion due to a variety of issues mainly built on not being paid what they feel they are worth. For Nate, he feels that he deserves top-dollar to return to the Octagon and nearly returned for a fight against Dustin Poirier at Madison Square Garden, but following the “Diamond” suffering an injury, Diaz would refuse to fight another opponent. “He legitimately doesn’t give a f**k. He smokes weed all the time. People love it. They love the fact that those guys are like that,” Rogan said to Din Thomas on The Joe Rogan Experience MMA Podcast. 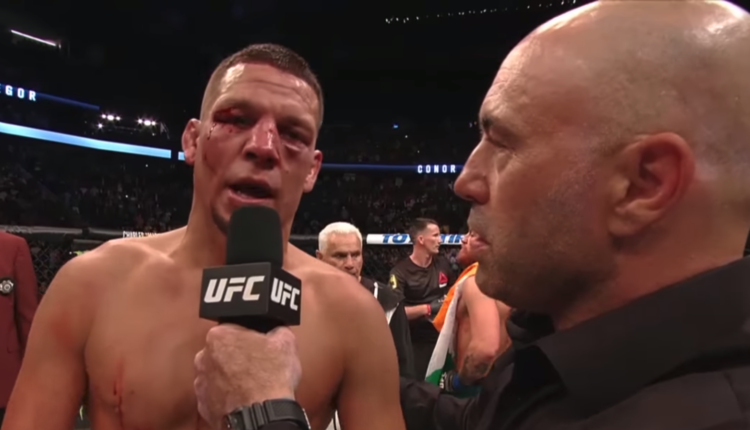 Rogan also believes that Nate Diaz has a big appeal on his own apart from McGregor, and that both he and his brother are “superstars” despite the UFC not knowing what to do with them.